Would you like to have a calendar on your desktop, embedded right into your wallpaper? 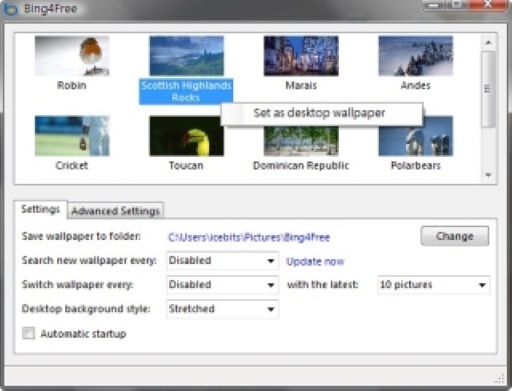 If so, you’ll want to check out the online utility from Big Huge Labs simply called “Wallpaper.” After visiting their site, you can create your own specialized wallpaper by browsing for a image file on your computer or choosing one from Flickr, Photobucket, or via a URL. The uploader also offers a number of extra features, too, like the ability to blur the image, apply a color overlay, choose which parts shouldn’t be cropped, and of course, where to the put the calendar on the wallpaper. If you register with the site, they’ll track your recently uploaded files for easy access – an especially handy feature since you have to re-create the wallpaper each month in order to update the calendar. Of course, you could use a Vista/Windows 7 gadget to put a calendar on your desktop or – heck – just click on the date/time in your system tray, but there’s something to be said about the elegance of having the calendar appear seamlessly right within your desktop wallpaper. The Big Huge Labs utility is free to use at http://bighugelabs.com/flickr/wallpaper.php.